T.M.Lewin, the expert shirt maker and tailor, has formed a partnership with email marketing pioneers Kickdynamic to drive engagement and improve the customer experience. 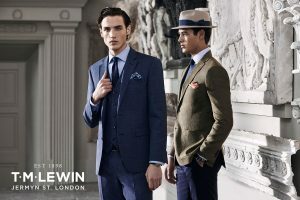 Founded over one hundred years ago on the world-famous Jermyn Street, London, T.M.Lewin has since gone on to open dozens of stores worldwide, including Europe, Singapore and Australia. Using many of the same traditional manufacturing techniques as they were founded on, the T.M.Lewin brand is synonymous with excellent craftsmanship, quality, service and value. The major UK retailer has now enlisted the help of London marketing tech firm Kickdynamic, who specialise in email personalisation and automation, to ensure its customer communications are as refined as their tailoring. The new partnership will see Kickdynamic enable T.M.Lewin to communicate with each of their customers in a highly personalised, relevant way, while also reducing build time for content in emails.